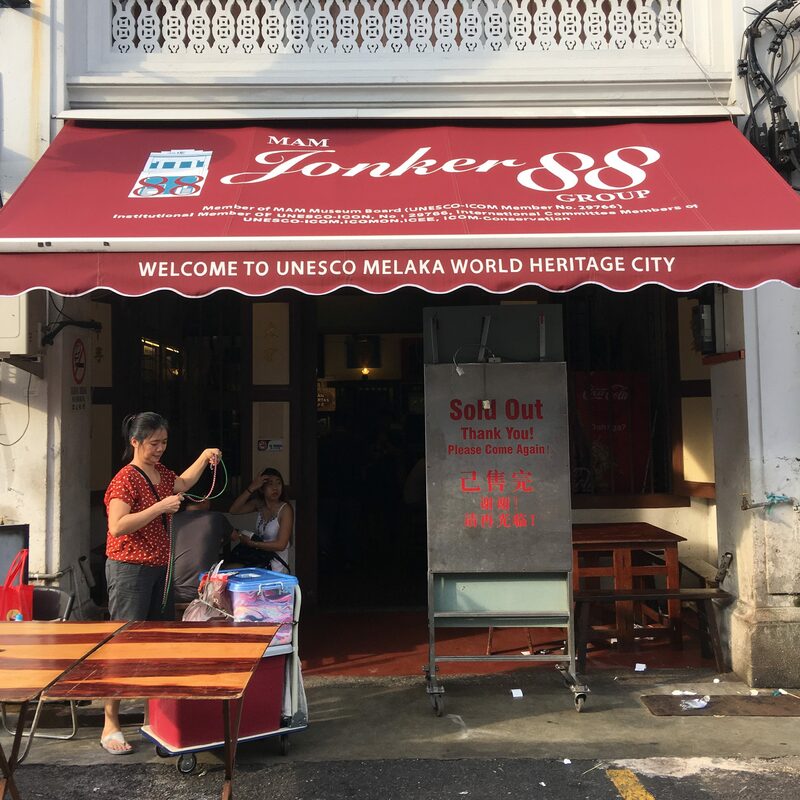 Another of the “must-eat” places in Melaka is Jonker 88, famous for Cendol and Laksa. Of course we went! Old style inside, you go to the stall, order and then pick up. 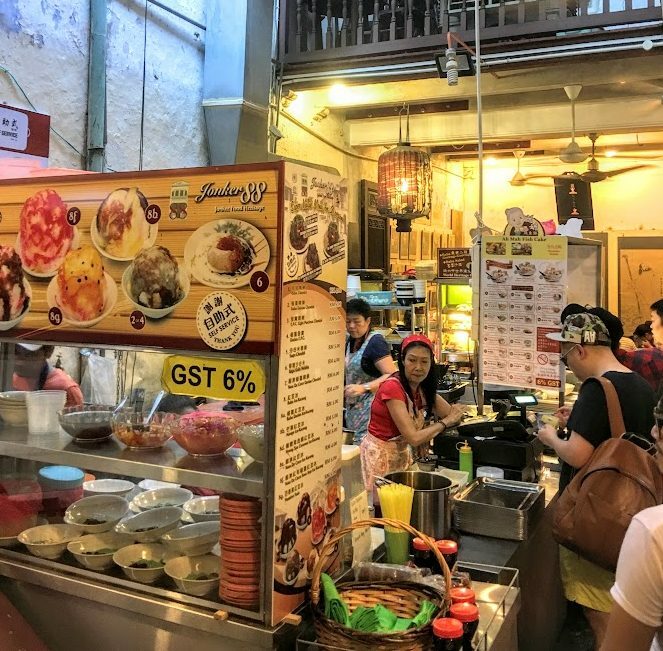 There are stalls for Cendol, Noodles and Fish Cakes. Here is the menu for the Cendols. We’ll get to that later, but first, here is Assam Laksa. Fragrant and a great taste! 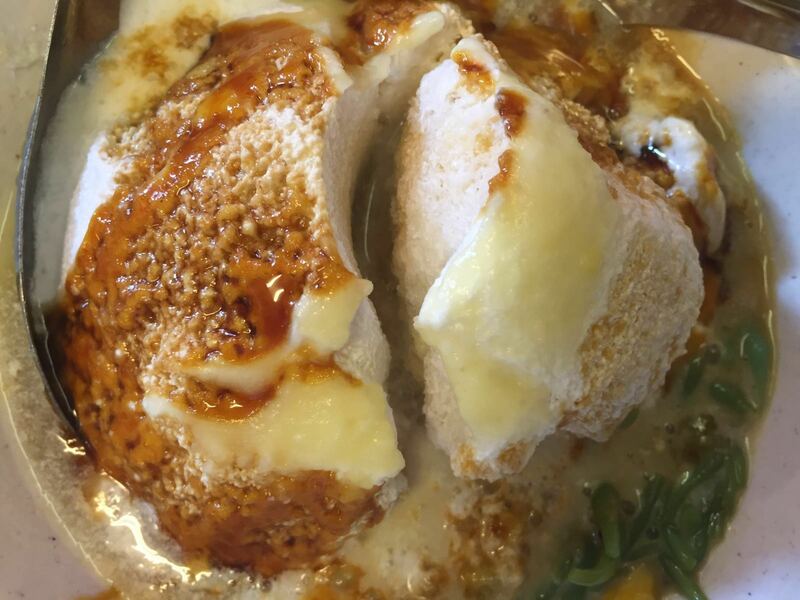 The fish cakes aren’t bad at all too. 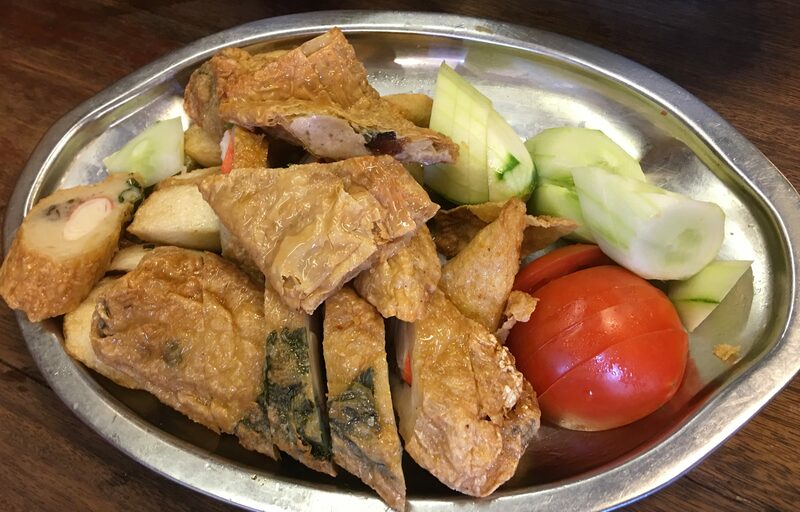 Pick what you want and they will fry or warm them up on the spot. 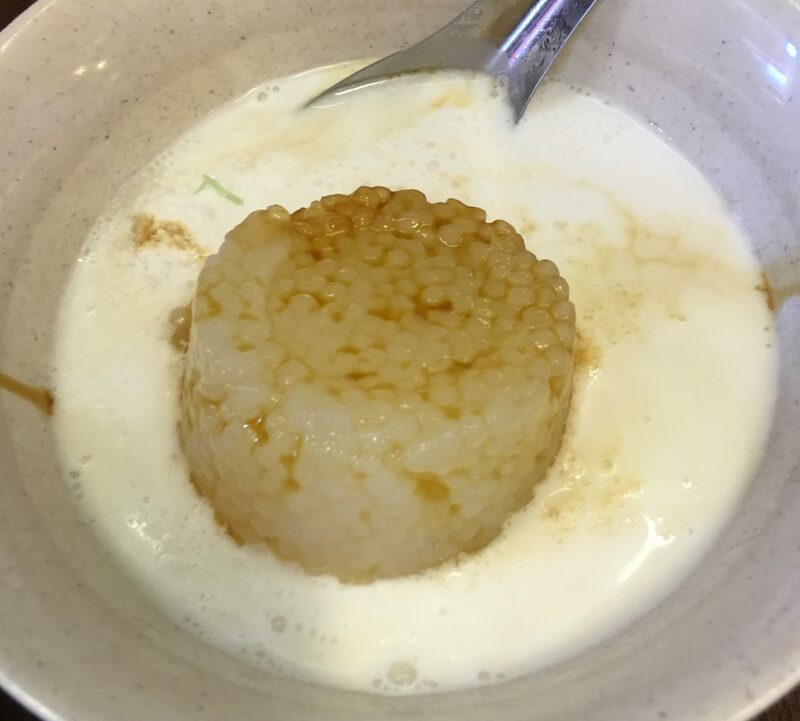 Here is the Sago Gula Melaka. Nice! Durian Cendol. Cool, refreshing and awesome! 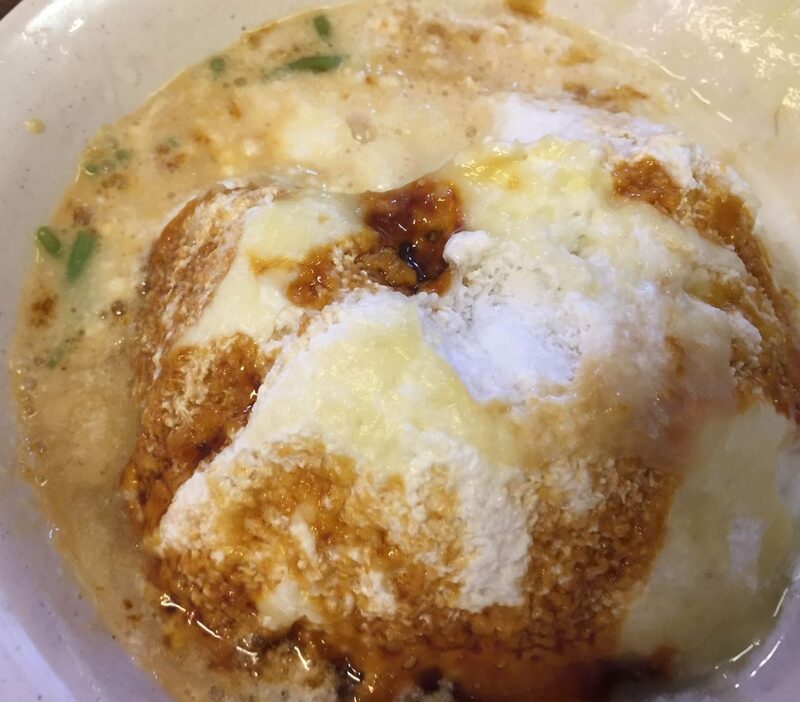 Gula Melaka Cendol. That is awesome! Worth the stop! 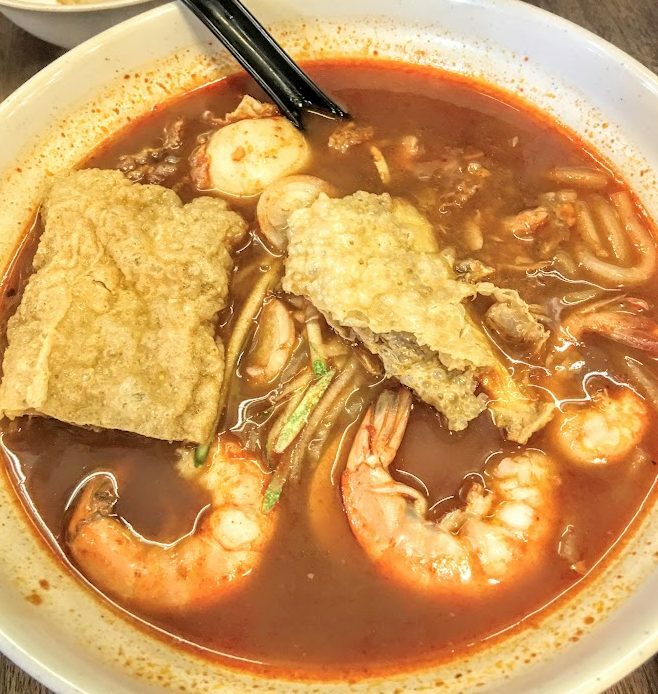 Posted in Desserts, Laksa, Melaka, Nyonya, SnacksTagged Cendol, Laksa, Malaysia, MelakaBookmark the permalink.